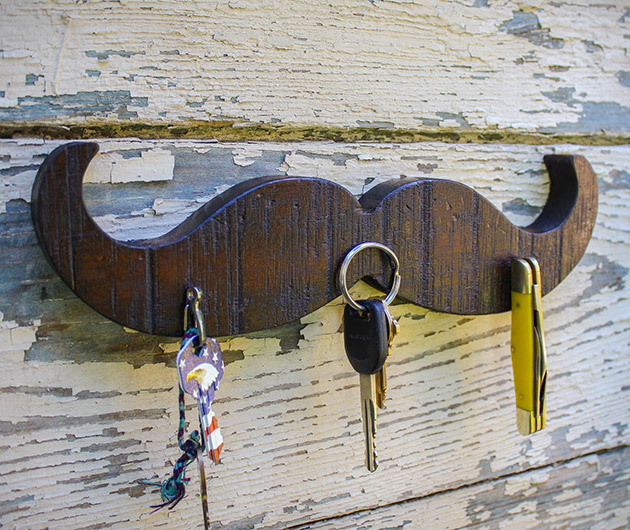 A beautifully handcrafted way to hang your keys without a hook, Keystache seamlessly blends contemporary innovation with classic design. Each piece is cut from American walnut and finished in a Kentucky wood kiln. Beneath lies a magnet to hold your metallic items in place and it’s all protected by a tough amber shellac topcoat that guarantees preservation for years to come.